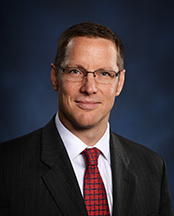 Jim Toohey is a partner at MacDonald Illig, where he represents and advises individuals, businesses and lenders in a wide variety of real estate and corporate matters, including residential, industrial, commercial and multi-unit transactions; commercial leasing; and commercial and residential lending. In addition to his representation of individual buyers and sellers of residential real estate, Jim has extensive experience in representing developers of real estate who acquire, finance, develop and operate industrial, office and retail projects. Jim also represents business owners in a variety of matters, commercial and real estate mortgage lenders in financing business and real estate loans, and commercial landlords and tenants throughout the lease negotiation process. Before returning to Erie in 2011, Jim practiced law in Chicago, Illinois for 11 years, first at Bell, Boyd & Lloyd (now K&L Gates), then at Fuchs & Roselli, Ltd. Since his return, Jim has continued developing his practice, and now represents multiple local developers, banks and companies in addressing their real estate, financing and corporate needs. Jim is on the Catholic Charities Board of Directors, the Alumni Board of Gannon University as Regional Coordinator, the Development Committee of the Neighborhood Art House, and the Serra Club of Erie Board of Directors.